MOOSIC, Pa. (April 14, 2019) - The Scranton/Wilkes-Barre RailRiders defeated the Buffalo Bisons 9-5 in the fourth and final game of the series Sunday night at PNC Field. 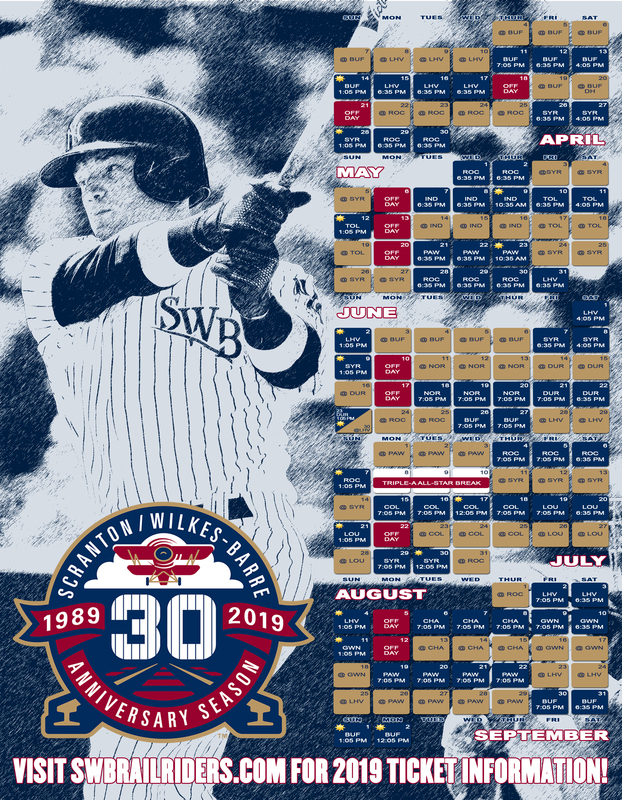 The Scranton/Wilkes-Barre RailRiders defeated the Buffalo Bisons 9-5 in the fourth and final game of the series Sunday night at PNC Field, capping a sweep of their IL North rivals. The Bisons established a 1-0 lead in the top of the first on an RBI single by Patrick Cantwell. The RailRiders retaliated with Mike Ford smashing a double to center to score Thairo Estrada two batters into the bottom of the first, tying the game. Scranton/Wilkes-Barre kept the momentum going throughout the second inning as Gosuke Katoh sent a single into center to score Mike Ford, increasing the tally 2-1. Shortly after, Roemon Fields singled on a ground ball to left-fielder Zack Zehner and Andrew Guillotte scored for the Bisons, knotting the score 2-2. 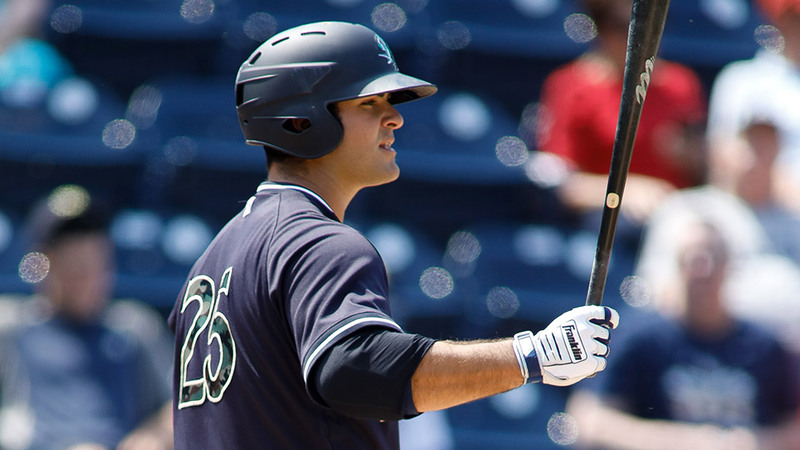 The fourth inning saw two home runs; Ryan McBroom knocked his second of the season and Kellin Deglan slammed his first out of the park, holding the RailRiders in a steady lead. Gio Gonzalez kept Buffalo off the board throughout the fourth and fifth innings, capping off a performance in which he earned his second win of the season. A lot of action happened in the bottom of the fifth; Mike Ford crushed his team-leading fifth home run of the season and Thairo Estrada poked a single into right field for a base hit, driving in Kellin Deglan for an 8-2 lead. The RailRiders added two more runs in the bottom of the sixth inning, and though Buffalo rallied with three runs in the top of the seventh, the RailRiders had already produced enough offense to make it comfortable down the stretch. The RailRiders will begin a three-game series with the Lehigh Valley IronPigs Monday night. The pitching matchup features Scranton/Wilkes Barre's LHP Nester Cortes (1-0, 0.71) and Lehigh Valley's LHP JoJo Romero (0-1, 9.00). First pitch of game one is scheduled for 6:35 p.m. For tickets and more information, call (570) 969-BALL or slide to www.swbrailriders.com/tickets.